700 miles round trip is the distance from my home in Aliso Viejo to Mammoth Lakes. From the ocean to the desert to the mountains, you see it all on this journey. Desolate desert roads and mammoth mountains make for extremely varied terrain. 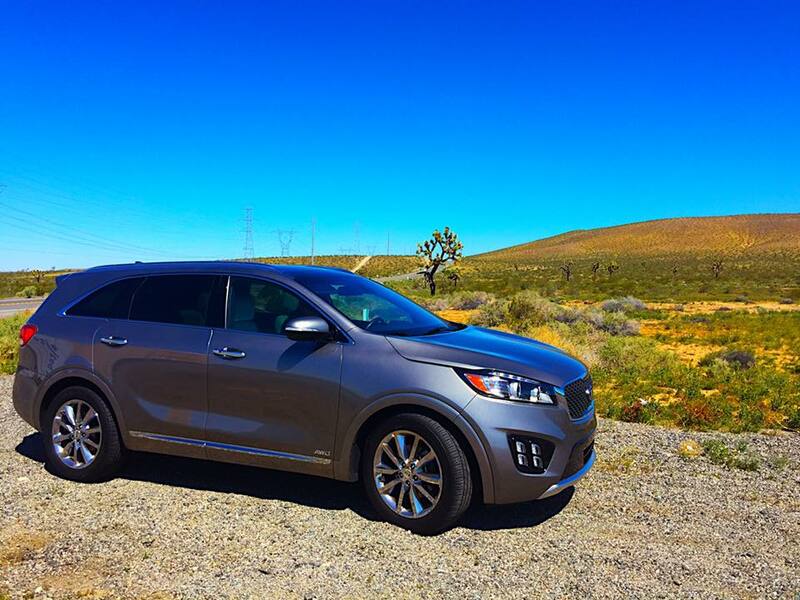 During the adventure, we test drove a 2017 Kia Sorento. Come along for the ride and we’ll show you the diversity of spring in California. 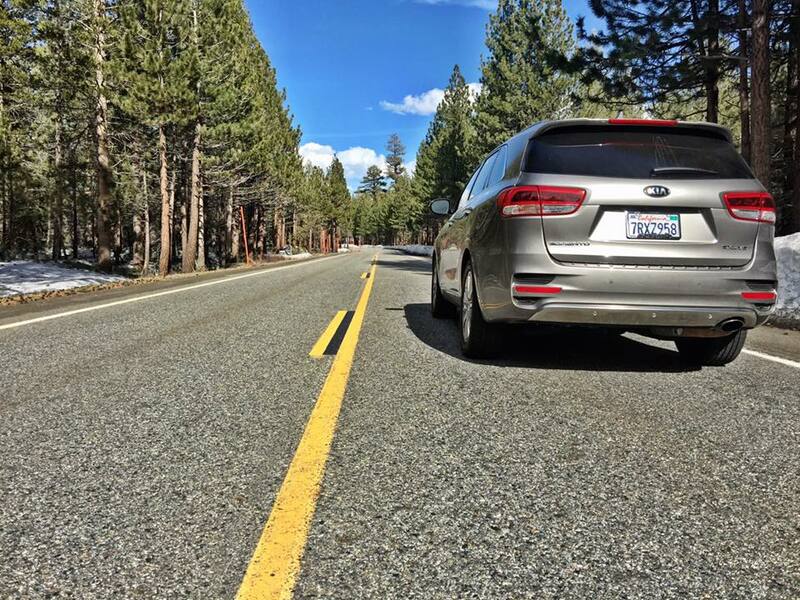 We packed the 2017 Kia Sorento and headed toward highway 395. The last time I’d driven through that area it was a barren desert with minimal vegetation and no water. The drought was obvious along the 395. This time, though, color and life appeared alongside the road. Yellow flowers filled the fields and purple ones lined the roads. Lush green bushes covered the mountainside and it felt like I was driving in another state. The recent rain was evident all around. I sat back and enjoyed the view while Cord covered this part of the drive. Although he’d never driven in this part of the state before, I set the navigation system and it effortlessly lead us along our journey. It took a few minutes to get use to reading the directions from the bottom up but the green indicator made it obvious which direction was next. The duel temperature zones also came in handy since Cord is always warm and I am always cold. I didn’t need the heated seats just yet, but they would come in handy in the mountains. The amply storage compartments made us both very pleased. With an iPhone 6+, it can be difficult to find a space to put my phone in most vehicles. The divided cup holders are not large enough and there’s usually very few other places to put my phone. In the Kia Sorento, there is a large spot in front of the gear shift and another in front of the arm rest. Additionally, the cup holders have an open space between them so my phone fits in there as well. We had a spot for two drinks and both of our phones without fighting for space. 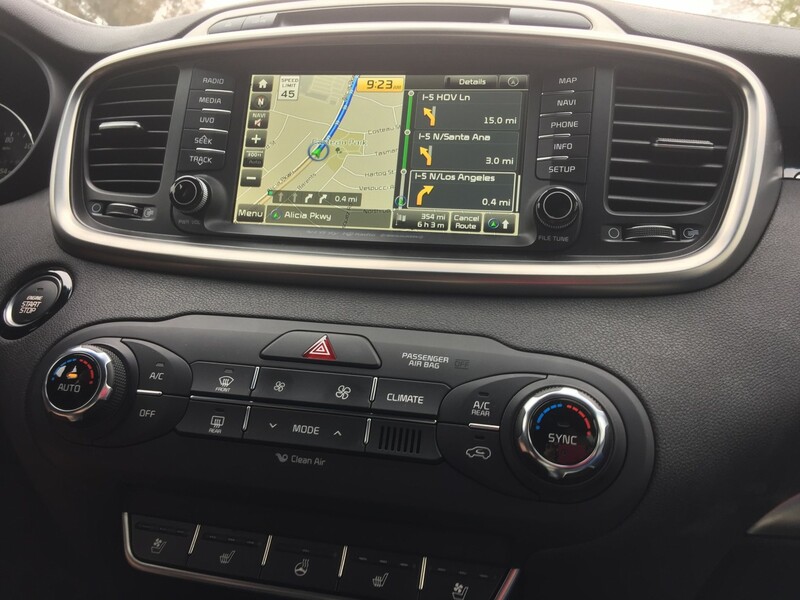 Driving on the 395 for hours gave us an appreciation for the drive-assist technologies of the Kia Sorento like Surround View Monitor, Lane Departure Warning, Advance Smart Cruise Control, and Blind-Spot Detection. Our favorite feature is the Advance Smart Cruise Control. It’s like driving a self-driven car for all the benefits that I want but leaves me with enough control to feel safe and comfortable on the road. Athena appreciated the integrated 2nd row window sunshades. She is great on road trips. She would happily sit in the back seat singing and playing on her own for hours, but when the hot sun is on her or in her eyes, she complains. I know it’s a legitimate complaint but there isn’t much I can do usually. 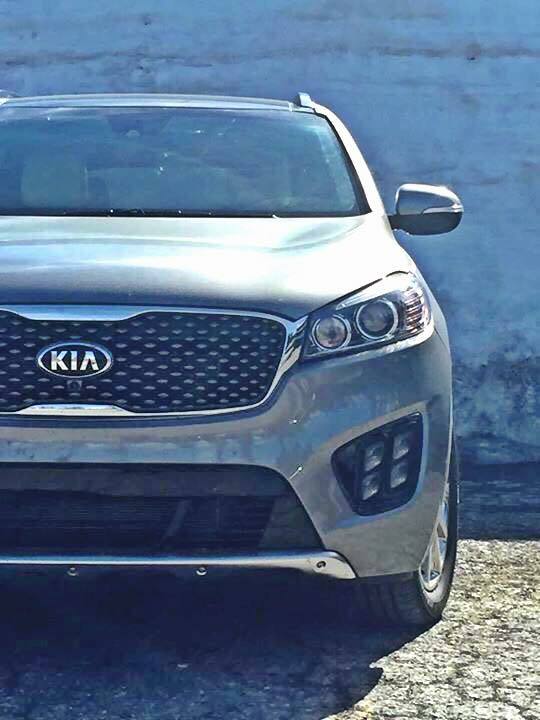 The 2nd-row sunshades in the Sorento saved me from hearing endless complaints. When we reached the mountains, she was willing to let the sun shine in so she could get the best view of the snowy peaks. I couldn’t help but get lost in another world when we approached Mammoth. The snow covered mountains were a stark contrast to the desert sands. 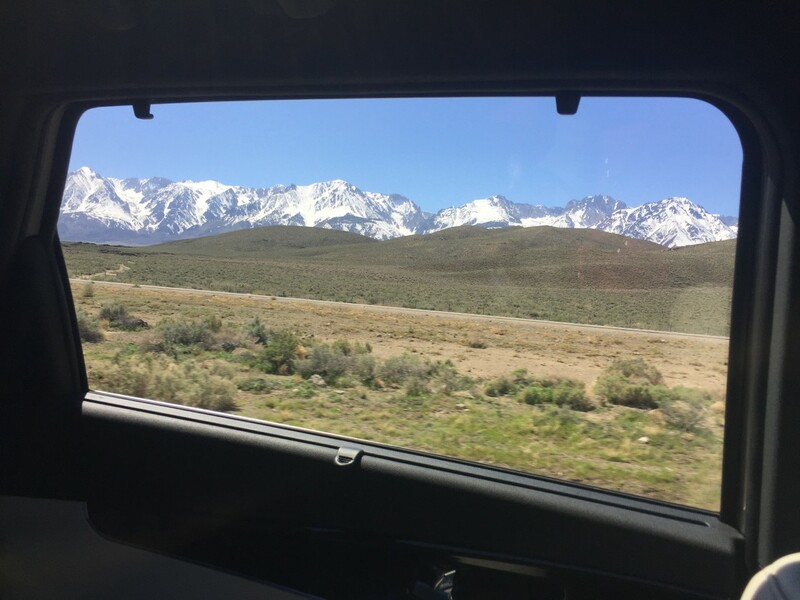 Instead of taking the direct route to Mammoth Lakes, we decided to take the scenic route. With evergreen trees and snowy roads, it was like driving into another world. It’s hard to believe that the picture of the colorful desert and this picture were taken within an hour of each other, but an even more drastic change was just around the corner. We arrived in Mammoth Lakes to snowbanks that were double the height of the SUV. It was then that I truly appreciated the Surround View Monitor system of the Sorento. The Surround View Monitor system offers a near all-around view in several viewing modes displayed on the Navigation monitor. Displaying real-time images from four cameras, the Surround View Monitor provides a virtual ‘bird’s eye’ view, affording maximum convenience for parking and low-speed maneuvers. With massive snowbanks and minimal viability, the Surround View Monitor system was our best friend in the village and around the mountains. You can take the free bus or trolley in Mammoth to get just about anywhere during the day, but in the evening we utilized the SUV. Parking in the village of Mammoth can be extremely difficult, if not impossible, to find. On our last night in Mammoth, we went to the Village at Mammoth for dinner. I found a small spot close to the village but it meant that I needed to parallel park. The Surround View Monitor system guided me in better than someone standing outside of the vehicle and I knew exactly how much space I had between vehicles. I wouldn’t have attempted to park there without the system. It made all parking simple regardless of the location. During the drive home, Athena was exhausted after five days of skiing, sledding, snowmobiling, and running around in the fresh, high-altitude air. We were surprised to learn that the rear seats recline. I reclined the seat for her and she slept for almost two hours, comfortably snuggled against the side of the seat. Although we didn’t utilize it, I also noticed that all the rear seats fold down, which was one of the main reasons I wanted a van in the first place. The opportunities to carry large items increase tenfold when all seats fold down. I always said that my van was everything I needed in a vehicle. 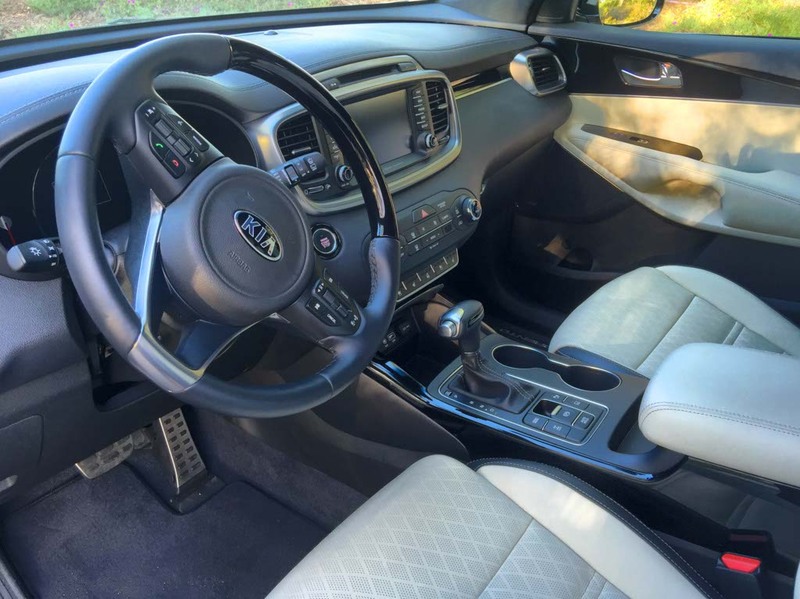 I love the space and the height and you can’t beat the visibility, but after driving the 2017 Kia Sorento, I realized many of the things my van is lacking – most noticeably a good suspension system, all-wheel-drive, and a surround view camera system. The most noticeable difference between my van and the Sorento is the suspension system. In my van, I need to drive slowly over speed bumps or any dips in the road. 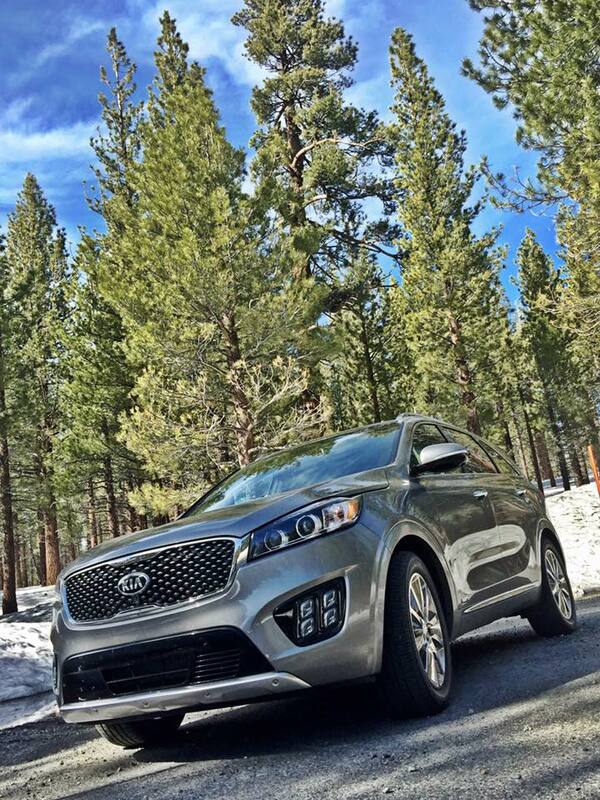 The suspension of the Sorento absorbs bumps from rough road surfaces with easy. The difference wasn’t slight! When I got back in the van, I felt like I was driving in a tank. I didn’t realize how badly it did over bumps until I drove in a vehicle that handled them well. Admittedly, I’m struggling with the transition back to my van. 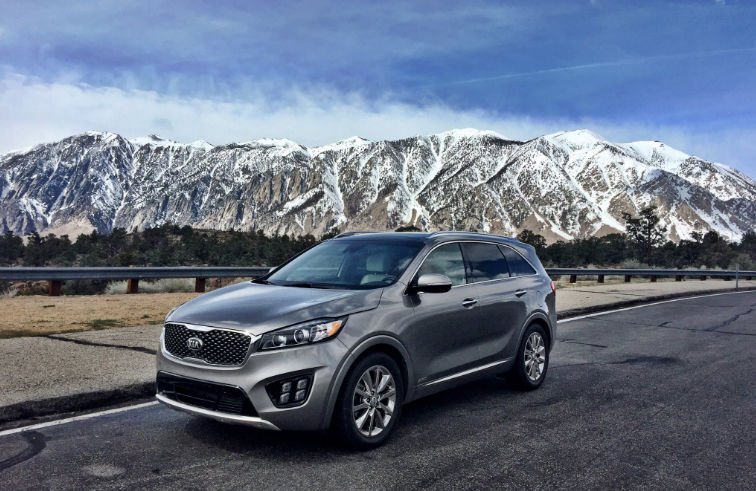 The 2017 Kia Sorento is like having a truck, a car, and a van all in one. California is one of the most diverse states. 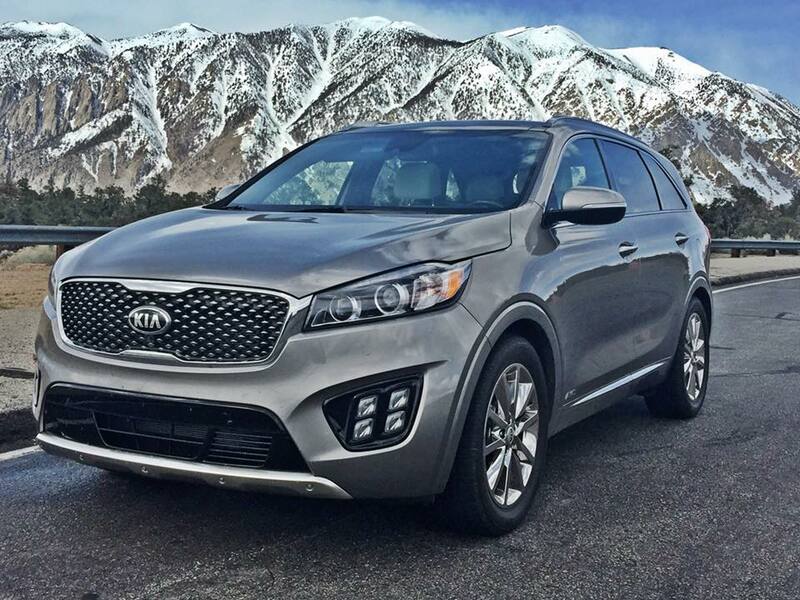 In one day, you can be in the desert, giant, lush forests, and massive mountains and the 2017 Kia Sorento handles it all with ease.